It’s hard to return to freezing temps after several days in sunny Florida. Winter Park is cold this time of year, but Disney World in Orlando is magical and warm. So while I look forward to fields ofColorado wildflowers on a summer day, I'm also reflecting on a wonderful week with my family. We took our two girls to Disney World in Orlando for the second year in a row, choosing February because it is somewhat the “low” season, though many South American tourists still keep the park pretty full. 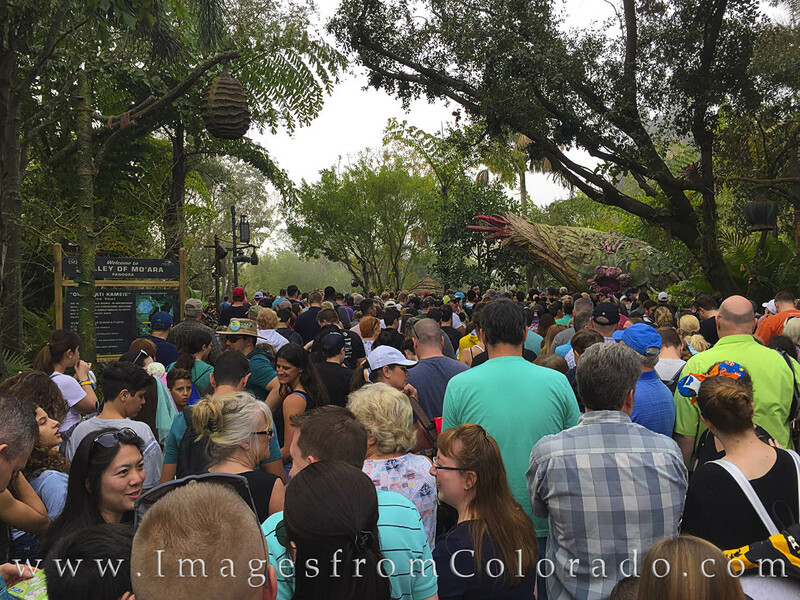 We visited Disney for the first time last year, again in February, and said both then and during this trip that we’d hate to visit the Magic Kingdom during summer – just too hot and too crowded. One of the areas I most looked forward to visiting was Pandora (from the movie Avatar) in the Animal Kingdom. It didn’t disappoint. We fast-passed the Na’vi River Journey which was a slow boat ride through an intricate and mystical forest at night. The best and most amazing ride of the trip was Avatar – Flight of Passage ride that simulates soaring on the back of a banshee through a forest, over an ocean, and across the land of the Na’vi. The 3D visual effects were breathtaking. 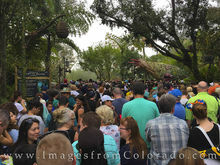 And thank goodness for fast-passes – the wait time without the passes was generally 2-4 hours long. A last treat we enjoyed in Pandora was a drink called the Pongu Pongu – a fruity treat with little mango explosions. We bought our girls a kids’ version and we sucked down the adult version (with rum). They were pricey, but nice for an end-of-the-day splurge. We also enjoyed a few amazing meals – one at Boma – a Taste of Africa. The brunch we experienced ensured we’d return there again one of these years. Another buffet that far exceeded expectations was at our hotel’s restaurant – Café May. I think I went through 3 plates of crab legs and shrimp. The Mai Tai and desserts were pretty tasty, too. Along with these experiences, we watched fireworks, swam at the hotel pool (my girls loved the slide which was probably 30-40 yards long before splashing down into the pool, and spent too much money. I can vouch for the fact that the Mouse is very skilled at taking your cash. And with the crummy weather lately (I don’t like being cold), I haven’t taken a single photograph. The irony is that I’ve had my two best months in sales since I started this business many years ago. Maybe people are stuck inside and don’t have anything else to do! For now, I’m dreaming of spring and summer and hiking and wildflowers.